First, I want to show pictures of William Brigham’s work in the Merlino-Gallery. On September 10th, 2015 I went to the art galleries at CSULB. My favorite was the Merlino-Gallery. The artist’s name is William Brigham. He had three different displays of his work. 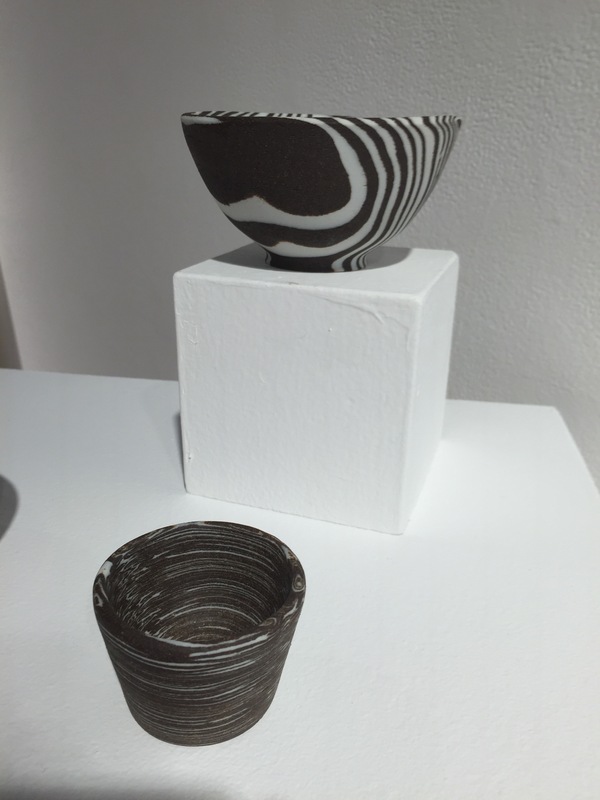 On one side of the gallery was the Mokume-gane vessels and these pieces were made out of different kinds of metals. The back wall was the Damascus Knives. His other display was the Nerikomi ceramics. The Damascus knives are made by damascus steel. Damascus steel is used to make sword blades and knives. It has a wavy pattern that is made by welding together pieces of iron and steel. 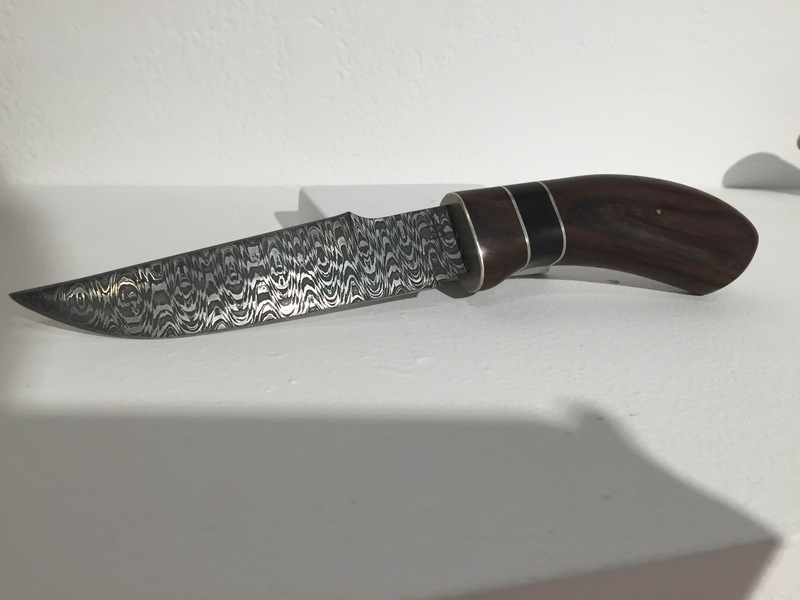 The artist had displayed three different Damascus knives that he made for himself and his family. 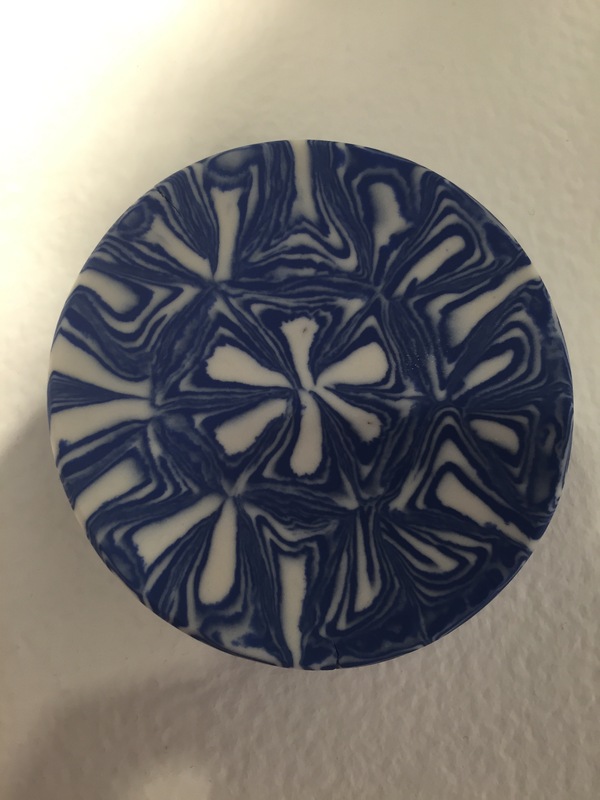 His ceramic art is a Japanese pottery technique called Nerikomi. 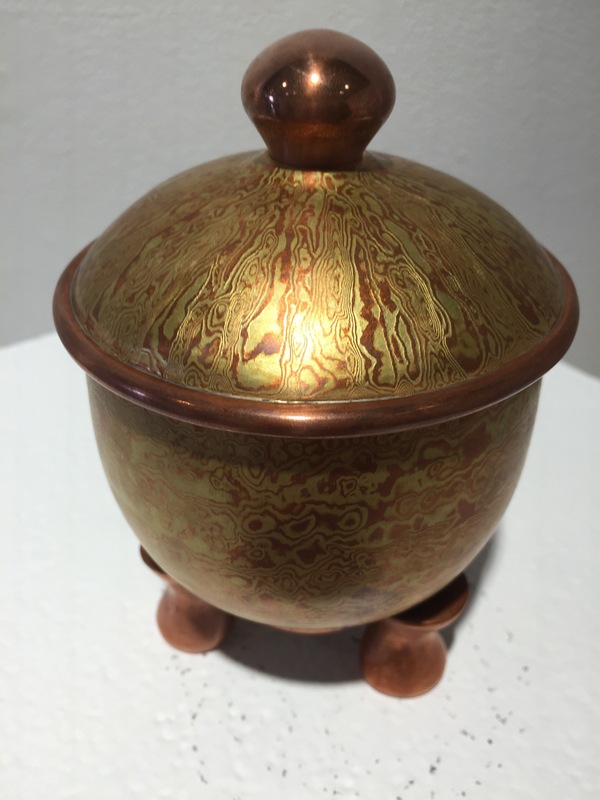 It’s similar to the Mokume-gane vessels because the pattern on these ceramic pieces run all the way down the piece. 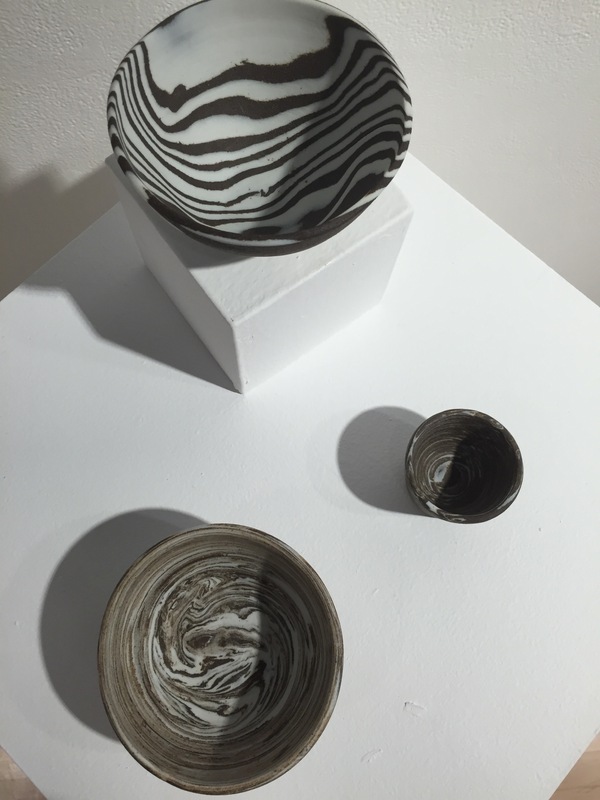 The artist used porcelain to make these creations. The blue and brown colors on the bowls and plates are a powdered dye that is mixed with the porcelain. 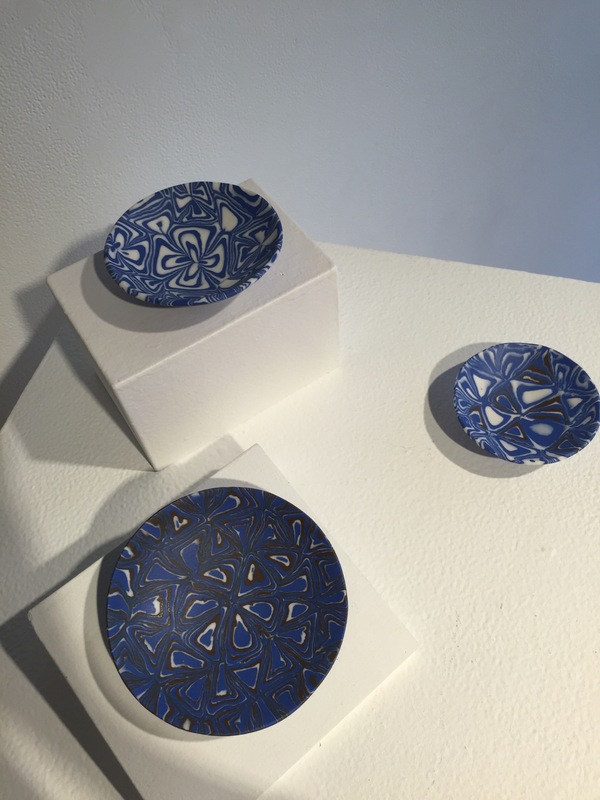 William Brigham created these pieces because he enjoys making all the different patterns in his art. He has control over every piece that he makes by knowing how long to use the heat and knowing what is happening to the molecular and atomic level of his piece. He explains that when you know how to work with metal, you can manipulate your creation to however you want it. He also said that it’s fun to make these pieces but it does require an enormous amount of time and patience. The tools and equipment that were required to make these works of art were made by William. One of William’s goals is to make bigger Mokume-gane vessels. He also has an Instragram and his username is the_artificery. What I thought about William Brigham’s work of art is that it’s amazing. 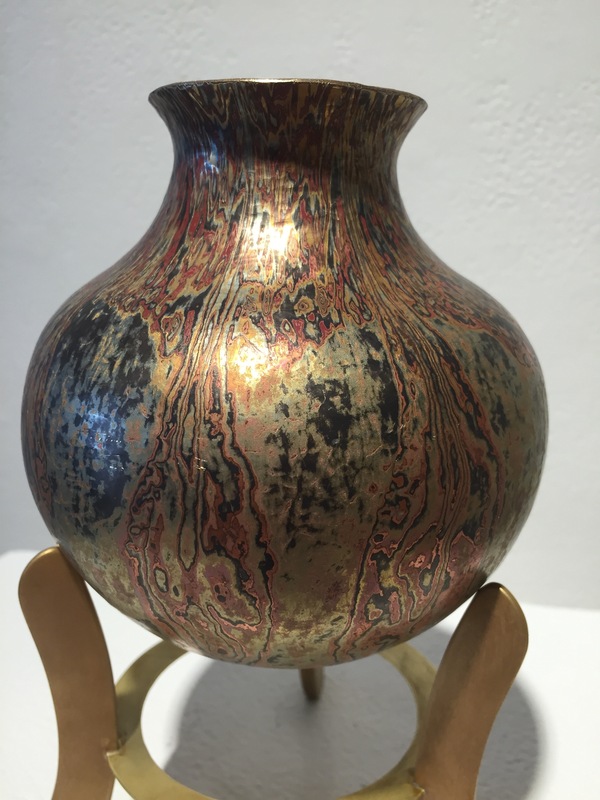 The Mokume-gane vessels have a unique pattern and color. 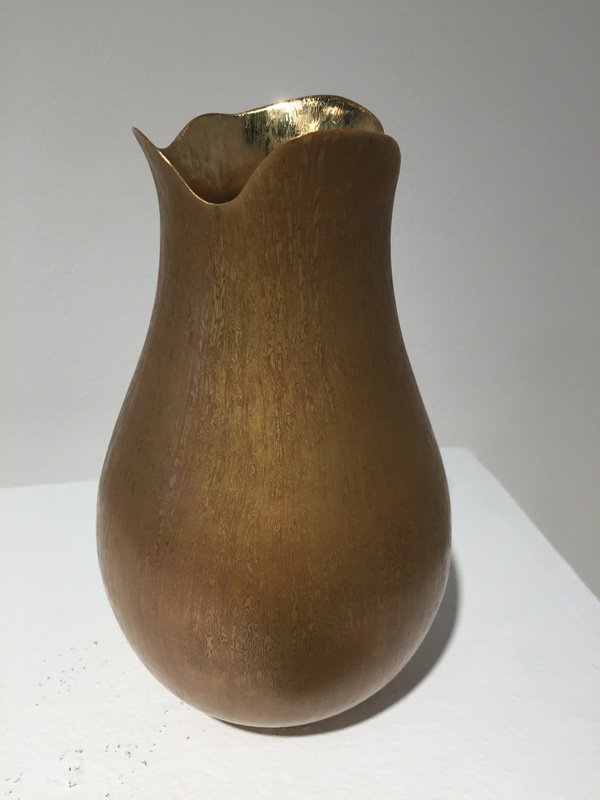 It was difficult to understand the procedure to make these vessels because I have never heard of Mokume-gane. Based from what I saw and what the artist had to say about his work, I think he really enjoys making these pieces and he is good at what he does. One of his ceramic pieces stood out to me because it made me feel at peace. It was the blue and white circle plate. It made me think of the sky because the white parts looks like clouds. It also made me think of the Earth. As if you were looking at planet Earth from space. 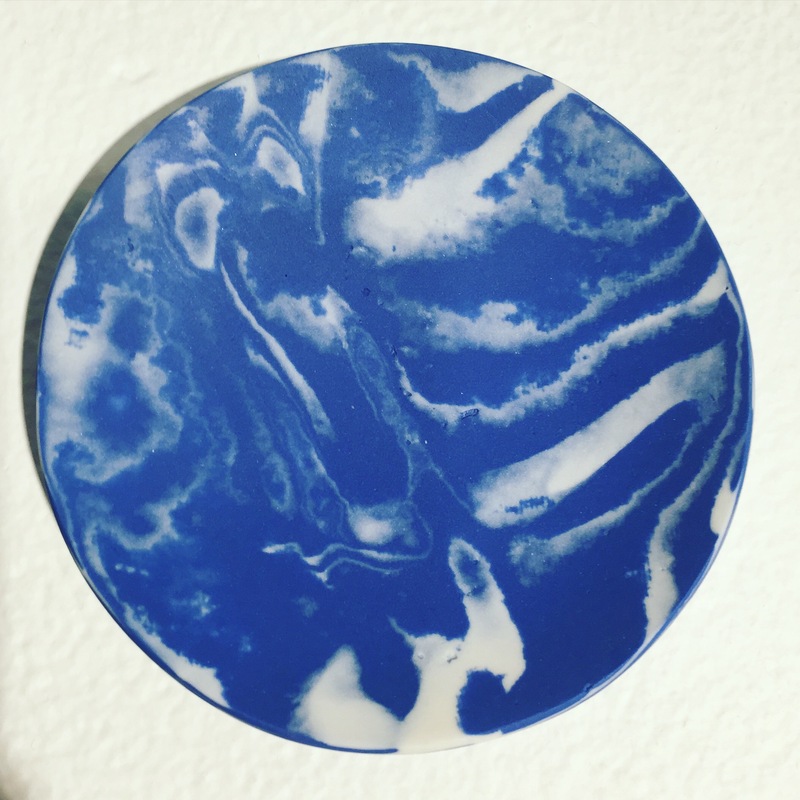 The blue looks like the ocean and the white parts are the clouds that are floating around the planet. Also, the brown and white bowls look similar to a zebra’s stripes. Every piece is unique and I think that makes William’s art more personal.